What if you could live a life that 100% represented your singular experience? What if you stopped asking how can I fit into the current society and dominate culture and instead asked what space can I carve out in the world that is mine, and fully supports who I am and what I care about? 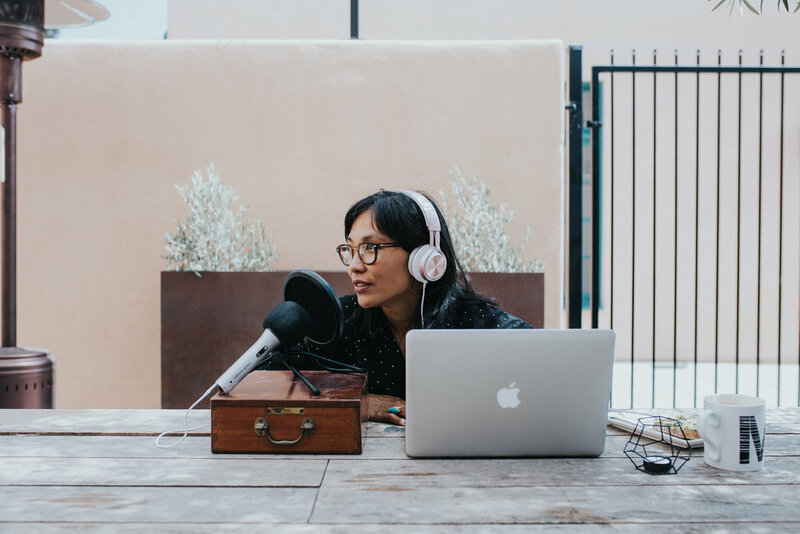 Tiffany Han, CPCC, is a writer, speaker, teacher, and coach whose work focuses on helping highly-creative women embrace a new framework of creative productivity to design and build the businesses of their dreams and bring their best ideas to life. As the founder of Say Yes Creative LLC, Tiffany has been helping creative women take bold, inspired action towards their dreams since 2011. Coleen is a mother of two, emergency room nurse, photographer and blogger located in Arizona. Her passion for capturing the beauty of the everyday started the second she became a mother. The launch of this passion project was a dream come true for her. She believes in capturing the beauty and unique spirit of every child. I'm Elise and I make stuff. That's who I am and that's my job. I started a blog in 2005 because I wanted to share my thoughts with the Internet. A year later, I began sharing craft projects and tutorials. In 2008, I opened my first online shop and since then, I have made and sold everything from letterpress prints to wooden plant stands. Before becoming a Designer, Jen received a degree in Psychology with a minor in Anthropology from Western Washington University in Bellingham, Washington. While Anthropology stimulated her fascination with varying cultures, and Psychology explored the area of social work, both were lacking the creative outlet she yearned for. She seized the opportunity to move to Macerata, Italy to study Italian art and learn the language while being submerged in the culture. She soon began to realize that her passions for both design and helping people could culminate in an exciting career. After moving to San Diego, she enrolled in design school where it became apparent that design was in her nature as she graduated with top honors while simultaneously working at a high profile model home design firm. Over the following eight years she additionally dabbled in closet design, kitchen re-facing, upholstery, and professional real estate staging. By far, the most important outcome of these cumulative experiences was her realization that she wanted to design on a more personal level. Through her extensive experience in these many different aspects of the industry, she has refined a keen design eye for color and layout and an ability to work with a wide array of clientele and design tastes. And while high-end remodels and model homes were interesting, she prefers the joy and ease of the collaboration with clients who are budget conscious but who need help sprucing up their spaces. Jen explains: "I don't want design to be unapproachable and scary for people. Designing your home should be fun, rewarding, and exciting, and it's my job to make that happen!"